Have you tried the ASOS Fashion Finder yet? It's another playful style compiling widget that helps you pull all your favorite ASOS-stocked beauties together in themes, trends or product categories of your choosing. Much like Polyvore but, unfortunately, without an html embed code which means, sadly, no posting to your blog. 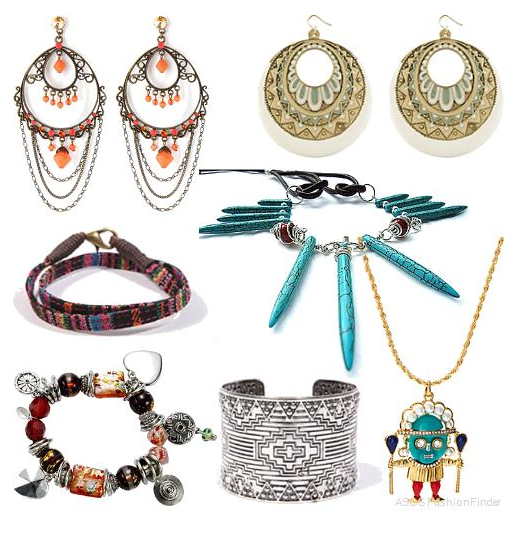 Nevertheless I thought I'd give it a try and here's the result: My top picks from ASOS's current ethnic and tribal inspired jewellery. Give it a try and see what you think!